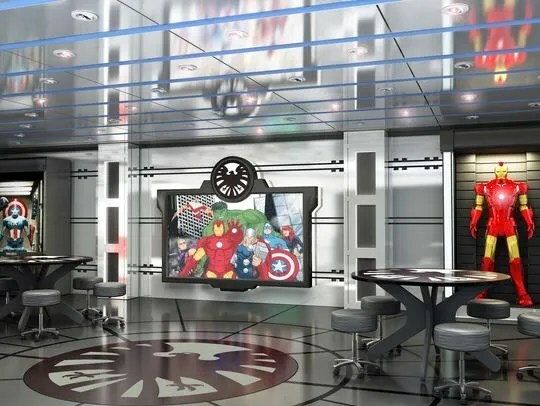 Disney’s Cruise Magic gets Marvel-ous Makeover. Who said I wasn’t Marvel crazy? 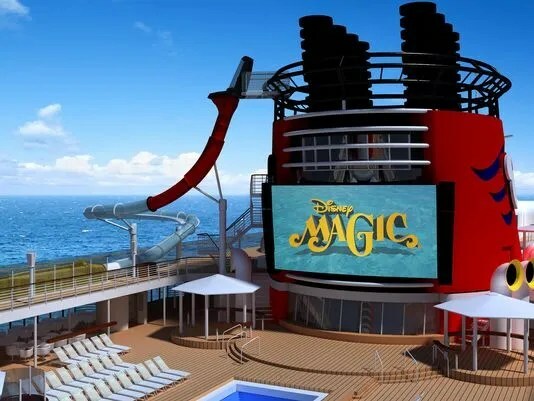 lol I’m so excited about the new Iron Man 3 coming out and now Disney’s oldest cruise ship that started back in 1998 is getting a Marvel makeover and even more! There’s going to be a new Magic ride, called AquaDunk, which is a waterslide three decks high that sends riders on a drop through a translucent tube that extends 20 feet over the side of the ship. A water playground and pool called AquaLab will be added and a splash zone for infants and toddlers, using Donald Duck’s fun loving nephews as a character theme. Now, the best part is the new Marvel’s Avengers Academy designed for both boys and girls to inspire them to become superhero recruits and go on missions for the academy– the academy will use characters from the Marvel brand and feature games, programming, and equipment seen from superhero films. Disney’s newest ships, the Dream and Fantasy have play areas called Andy’s Room themed on “Toy Story,” and the Magic will get one too, with oversized furniture, a human-sized Mr. Potato Head and a Slinky slide..
Stateroom changes will allow storage underneath beds and bedrooms can be closed off from the rest of the cabin. A new piano lounge and a new Irish pub and sports bar will be added. A Brazil-themed family dining area called Carioca’s will replace a Caribbean-themed restaurant called Parrot Cay. 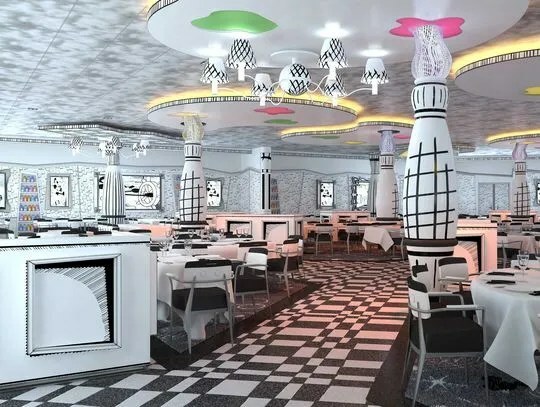 Animator’s Palate restaurant is also getting a technological revamp. This entry was posted in Disney Cruise News, General and tagged aquaduck, cruise, disney, line, magic, marvel, ship, vacation by My Disney Cloud. Bookmark the permalink.